A water-activated exfoliant of nourishing Japanese Rice Bran that transforms to a creamy foam for smooth, polished skin with a healthy glow. Size: 10 g | .35 oz. $48 | 150 ml / 5.1 fl. oz. Contextual Add to Bag Errors here. The Rice Polish gives your skin a new beginning through non-abrasive exfoliation and pure Japanese ingredients delivered in a cloud-like foam. Finely ground rice bran and papaya enzymes promote natural skin turnover to instantly reveal a smooth, makeup-ready canvas. The pH neutral, amino acid base formula provides effective cleansing without stripping skin of essential moisture or breaking the skin’s barrier function, leaving skin baby-soft and supple. Hadasei-3™, a trio of anti-aging Japanese superfoods - green tea, rice and algae - helps restore healthy-looking, youthful radiance. Daily use helps to visibly reduce the appearance of fine lines, uneven skin tone, hyperpigmentation and breakouts. 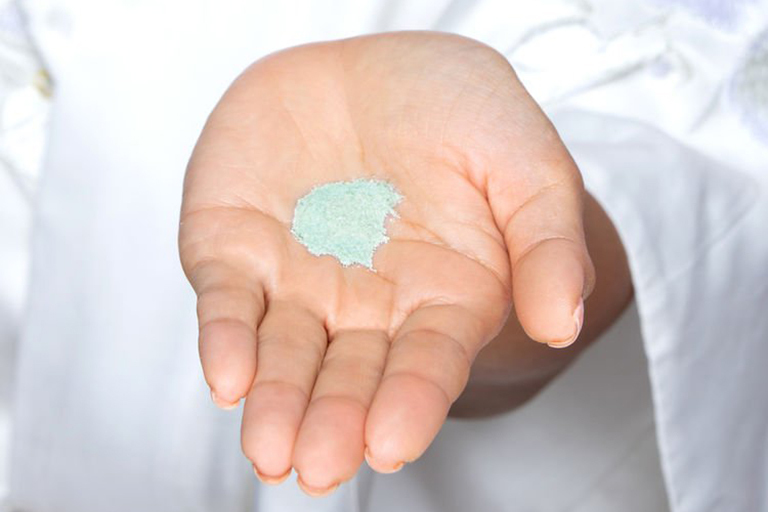 Each Rice Polish is formulated with an active ingredient tailored for a specific skin type. The Rice Polish: Deep is ideal for combination to oily skin and features Japanese Wild Rose to help tighten the look of pores and clarify skin. Mineral oil, synthetic fragrances, sulfate detergents, parabens, urea, DEA, TEA or phthalates. Cruelty-free. Begin with wet hands and face. Pour ½ teaspoon of powder into hands and rub together to create a creamy foam. Gently massage onto face for 15 seconds, avoiding the eye area. Rinse with warm water. For best results, follow the Kyoto Cleanse ritual. Melt makeup away with the Pure One Step Camellia Cleansing Oil, then smooth and soften skin with The Rice Polish. In 1 week: 100% of women demonstrated an improvement in skin smoothness. In 2 weeks: 100% of women demonstrated an improvement in the appearance of pores. In 4 weeks: 100% of women demonstrated an improvement in radiance, skin texture and the appearance of wrinkles. *Based on an independent expert grader study of 20 women. Individual results may vary. Women in Japan care for their skin with a beauty ritual that is as elegant as it is simple. Delicately polishing skin to a jewel-like luster is at the heart of their daily practice. For centuries, Japanese women have used the milky water from the first wash of rice to prepare a perfectly smooth complexion. The Rice Polish Collection brings this time-tested secret to the modern makeup lover. The Rice Polish: Deep is rated 4.9 out of 5 by 487. Rated 5 out of 5 by Sandra from This is MAGIC! I can NOT believe how SOFT and smooth my skin is from a GENTLE hand washing of my face. I am stunned. I couldn't wait to have my man feel my face after I washed it, have him try it on his face, and to wake up the next morning JUST so I could hop in the shower to use it on my neck and face again! The tiny little bumps that have always been on the bridge of my nose are GONE, what!? Yes they are and I've only used it twice. I will never be without this magic potion again. As soon as I was rinsing my face THE FIRST time I used it I could FEEL how soft my face was, it was like the softest rose petal, I SWEAR it's true! GET SOME OF THIS STUFF!!!! Rated 5 out of 5 by Anonymous from Thank you! All of the Tatcha products are wonderful. This is the first brand in so many years that I haven't had reactions to. I read about the coming Indigo line and the problem areas it is targeting. I have been suffering a severe illness for many years and must take a lot of medications. The result being very sensitive skin. After using the Indigo Rice Enzyme Powder for only four days I noticed a lessening of redness. The light rashes were improving also. After using the Indigo cleanser there is a comforted feeling to my skin. It is very soothing. My skin keeps improving over time. 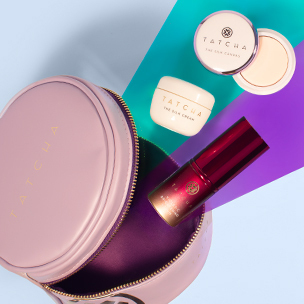 Thanks to Tatcha for creating products for all skin concerns! Rated 5 out of 5 by Janfromseattle from I’m a new woman! A few days ago I received the travel-sized rice polish for dry skin and after just two days my skin looks and feels luxuriant! Two days! When this jar is gone, I will be purchasing the full-sized jar. You have me for life! In such a short time, my skin already is brighter and as smooth as a baby’s bottom. I cannot wait to see my face in one month! I also rub this magic potion on the back of my hands. I use it at night and in the morning, my skin is dewy and moist; my makeup applies so evenly and smooth. I am tempted to buy your whole line. I also received your camellia oil as a sample and I will use that all the time now. Thank you Tatcha! Rated 5 out of 5 by Anonymous from Gentle and effective I am 48 years old, and have been exfoliating my skin consistently for years. I started using Clarisonic a couple of years ago, and just never really was 100% impressed with it. Add that to growing sensitivity, and I just couldn't find the right 'fit' for my skin. Enter Tatcha. I use the Camellia Oil and the Classic Rice Enzyme Powder every day, and my skin hasn't looked this good in years. Exfoliation with this product is gentle and effective - not the least bit abrasive, but wow, does it work. My skin is soft and radiant, and just feels good…. like its happy and healthy. No looking back, this is my happy face happy place! Rated 5 out of 5 by Rose from I am happy and impressed First, let me say that I am just shy of age 65. I had a grainy powder cleanser about 40 years ago and loved it but it was discontinued. So, I purchased the Classic Rice Enzyme Powder initially because I wanted to add this type of cleanser back in my daily beauty regime. Tatcha's Classic Rice Enzyme Powder is perfect for me. I am so happy with the results and will absolutely purchase it again. I also love the fact that it isn't a problem with my take on luggage for air travel because it is not a liquid. 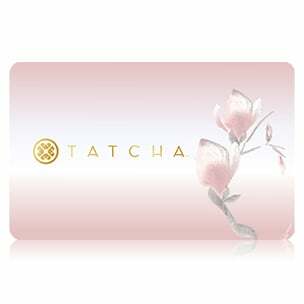 I highly recommend the product and entire Tatcha experience. The products and Tatcha people are special! Rated 5 out of 5 by Lali from The search is over! I've tried a seemingly countless amount of exfoliants since my teenage years. My skin always looked worse after using exfoliants with any sort of scrubbing agent. Now at age 35, the buck stops with the Rice Enzyme Powder. I have very oily, acne prone skin, that is also sensitive, so (with the guidance of the Tatcha consultants) I opted for the Indigo Soothing Rice Powder as step 2 of my Tatcha Ritual. It exfoliates without damaging or drying. My pores are cleaner than ever, and it also calms my reactive skin! Other products claim they'll make a difference and that you'll see results. Tatcha actually delivers results. Rated 5 out of 5 by Ashley from Holy Grail I purchased this a few years back when I noticed my skin changing; finding out that I was actually suffering from rosacea type 2. With the flaky itchy sensitive skin on my face I knew I wanted something gentle enough to sloth away the yuck on my delicate and sensitive skin. Wow! I heard only what I read on the site, and a few other reviews here and there on other forums, and I’m so glad I bit the bullet and spent the money. It goes a LONG WAY! You literally only need the tsp amount and it’s amazing how it goes from powder to cloudy foam in seconds. 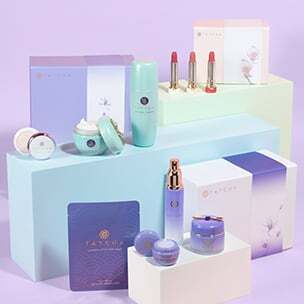 I am a TATCHA customer for LIFE! Thank you! I can’t wait to try more products suitable for my skin type! Thank you for your question! Our Rice Polish can be used up to twice a day. Be sure to foam it with water first between your hands, and then apply the foam to a wet face for 15 seconds, avoiding eyes, and rinse completely. We hope this helps! I am using retin-a at night to treat acne. Should i use the deep or classic rice polish? I have oily skin. Thank you for your question! For oily and acne prone skin, we recommend the Rice Polish in Deep to help clarify and smooth skin in moments each day. If you have just started using retinol, be sure any period of initial sensitivity has subsided before exfoliating. We hope this helps! Is rice polish a cleanser or exfoliant? Thank you for your question! 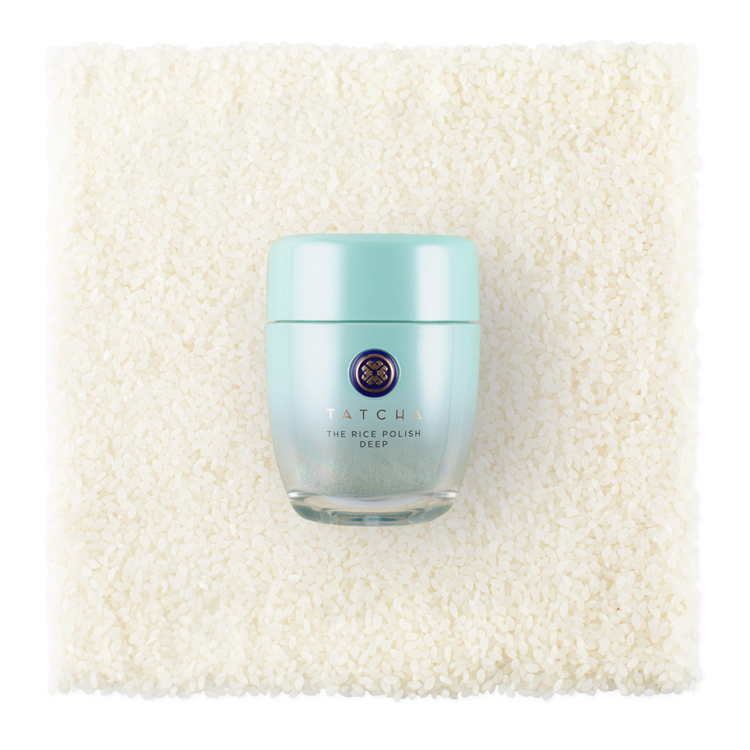 The Rice Polish is an enzymatic exfoliator that resurfaces skin in moments each day. It is used for 15 seconds at a time avoiding the eyes. For best results, we suggest melting away all makeup, dirt, sunscreen, and pollution from the day with the One Step Camellia Cleansing Oil first, and then following with the Rice Polish. We hope this helps! I have minor hormonal cystic acne mostly on my cheek area, and also a few on my chin and temples. Which enzyme powder is best for my skin? Thank you for your question! For acne prone skin, we recommend the Rice Polish in Deep. It contains essential ingredients to balance skin, clarify, and keep future breakouts at bay. We hope this helps! Do you use this cleanser at night or the morning? Also, if you only use it once a day what do you use for the other time of day? Thanks for your question! You should feel free to use another chemical exfoliator, however, we suggest alternating its use with the Enzyme Powder. For example, if you apply your chemical exfoliator in the evening, skip your Enzyme Powder and use it in the morning instead. We hope this helps! Is the calming one the equivalent to the former soothing one? Thank you for your question! Yes! We have kept all the same calming and soothing benefits you loved about the original, but have enhanced the formula with a new pH balanced amino acid base to help keep hydration locked in. We have also added our new Hadasei-3 complex which enhances the anti-aging properties of this treasure. We hope you love it! Can I use this product with a konjac sponge? Thank you for your question! Since the Rice Polish is already an exfoliator, we would recommend using it with your fingertips for the best results. Take a half teaspoon into wet hands and rub them together until a foam forms. 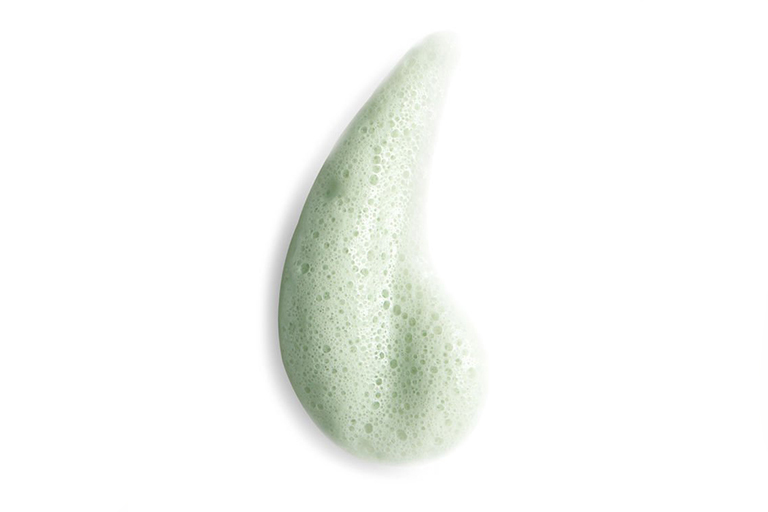 Apply the foam for 15 seconds, avoiding eyes, and rinse with warm water. We hope this helps!